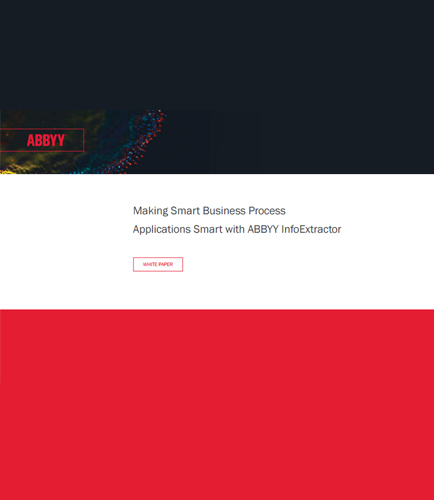 "How to make smart business process applications smart"
For making smart business process applications smart, we must create a proper information environment for knowledge workers. The biggest challenge faced by the organizations today is how to increase the productivity of their knowledge workers. How to identify and extract events and facts between related entities with a high speed and comprehensiveness? How does a system determine the context with the precision necessary to empower efficiencies? How can the knowledge workers action their information throughout the entire process efficiently? Download this whitepaper to learn how to fully optimize the knowledge worker stack and make smart business process applications smart.